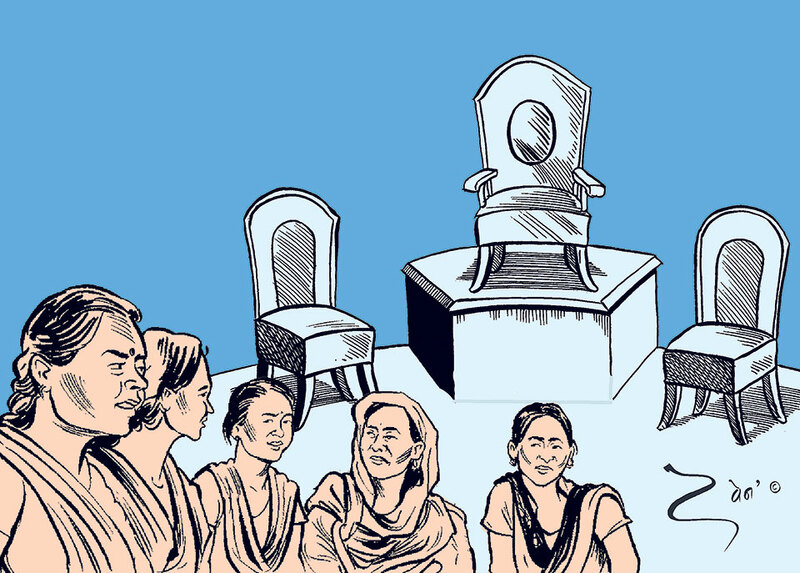 Nepal constitutionally guarantees 33 percent seats in parliament for women. If we truly want equality, why can’t we aim for 50 percent representation? International Women’s Day is being celebrated today throughout the country through various initiatives by the government, international development agencies, universities, schools and civil society organizations. While it is a great reminder of the long way we have come in emancipating women, we have a long way to go before we can catch up with the rest of the world. Being part of international treaties and conventions demonstrates our nation’s commitment to gender equality and to eliminating all forms of discrimination against women, but we need to follow up on these international commitments with local actions if we are to achieve a long-lasting change. We need to take stock individually and organizationally of what we can do better in creating equality for women and girls in our everyday lives. One simple commitment we can make on this International Women’s Day is to make a change within our respective agencies, institutions and families to ensure gender equality. What type of policy is my organization implementing to ensure equality between women and men? What types of rules does my school have to ensure that both girls and boys participate and contribute equally in class and get the same opportunity for growth and development? What am I doing as a man or women, as a boy or girl, as a husband or wife, as a school teacher or university professor, as a CEO or HR officer—any place where I have power or an opportunity to influence power—to make sure that men and women have the same opportunity for success? March 8 is a reminder to redirect our path towards designing our organizations, communities and relationships toward equality. Parenting, schools and our institutions play fundamental roles in shaping us as individuals. When it comes to what type of human beings our daughters and sons grow up to be, home is the most important place where values are learnt. Parenting plays a crucial role in what values our children carry. How we raise our daughters and sons—and the type of rules and regulations they must follow –is a determining factor in how they see other girls and boys. Reinforcing that a girl can do the same or even better things than boys should be highlighted in our daily communication with our children. In a typical Nepali family, a boy can get away with not doing any household chores, but a girl is expected to help her mom in the kitchen. A girl has to help raise younger siblings, but boys are not held accountable for the same. Is this fair? While this might seem like a small issue, if we want to promote equality and fairness, we need to start from our families. Educational institutions also play crucial role in shaping our children and what kinds of leaders they will eventually become. Schools and universities should create an environment where boys and girls are valued equally. Giving equal voice to girls and boys and treating them equally in all aspects of academic and extra-academic activities would allow for setting the norms on equality for generations. Similarly, our government and public institutions should create more incentives to generate equality through support to girls and women. Women with the same level of education and experience as men get paid less than men for the same job. Although this disparity in pay is a worldwide phenomenon, Nepal ranks 110 out of 144 countries in gender wage gap. In manufacturing sector for example, women earn only about Rs.83 for every Rs.100 that men earn for the same job. Career often takes a secondary position for working women. Additionally, working mothers must often settle for either low paying jobs or leave their jobs right after having a baby. Therefore, if the government is keen to encourage women to work and prosper, it is crucial that they understand the dilemma that women face and create supportive environments for working women through public day care centers and other accommodations for new parents. Italy, for instance, offers public day care service for free. Although we have become one of the few developing countries in the world that constitutionally guarantees 33 percent of the seats in parliament for women, surpassing many developed countries, we remain a highly gender unequal country. If we truly want equality, why can’t we aim for 50 percent seats? Mere equality in number does not representation true equality. What we need is a paradigm shift in our mentality. For centuries, women have been associated with homemaking, providing care and have been assumed to be soft and vulnerable, while men have been associated with strength, career, success, titles and power. These norms have been engrained in our minds and reinforced through education and experiences. But we must move outside these norms and learn to see both women and men as inherently of the same value as human being with the same need and desire for respect, acknowledgement, fairness and access to opportunities. The good news is that we have seen positive changes in Nepal and have seen women breaking these stereotypes. Achieving gender equality is a long process and cannot be achieved overnight. There are no hard and fast rules. We can have all the laws and quotas and regulations in place, but without shifts in our mentality and some basic changes in our institutions, it will be impossible to achieve an equal society. We will have achieved true equality when women have the same opportunities as men in every sector and enjoy social, political and economic rights without being discriminated based on gender.